The founding Director of The Fort Lauderdale Gay Men’s Chorus! Over 26 years ago, Dr. Keating had a vision of a gay chorus for the state of Florida. While a gay chorus was not an original idea, it certainly was in Florida. He founded the original Gay Men’s Chorus of South Florida, which many years later changed their name to The Fort Lauderdale Gay Men’s Chorus out of respect for other South Florida area choruses. This chorus was the first established gay arts organization in the State of Florida and has gained respect and admiration from the community over the years, both gay and straight audiences. Dr. Keating earned his Bachelor of Music Education from the University of New Hampshire where he studied with Stanley Hettinger, Dr. Cleveland Howard, and Dr. Henry Wing. Both is Masters of Music and Doctor of Musical Arts in Choral Conducting were earned at the University of Miami Frost School of Music. While at UM, he studied with Dr. Lee Kjelson, Dr. Brian Busch, Dr. Donald Oglesby and Dr. Jo-Michael Scheibe. Dr. Keating has been active as a conductor and adjudicator for the Florida Vocal Association since arriving in South Florida in 1979. 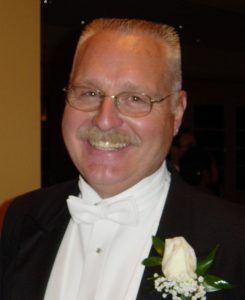 He began the Gay Men’s Chorus of South Florida in 1986, the first gay-oriented chorus in the state. He would later begin the South Florida Lambda Chorale, a mixed chorus, and assist with founding 5 other choruses in the state. He was also the Artistic Director for The Miami Oratorio Society, The Miami Gay Men’s Chorus, and The Barry University Chorale. Dr. Keating is the Director/conductor of the Choral/Vocal Magnet Program at Dr. Michael M. Krop Senior High School in Miami where he conducts four choruses, teaches voice, Advanced Placement Music Theory and Music Theory I and II.